Home - So many beers. So much fun. So little time. The Festival attendance is free and open to the public but certain hosted dinners and events have a charge. We sold out at the last Festival so order early. 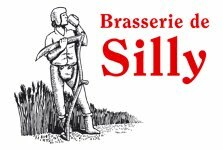 generation brewer and owner of Brasserie de Silly, will be opening the 2014 Festival with their hosting happy hours, special beer paired dinner, a bottle signing session, and a homebrewer Q&A session. Since centuries on the Western side of Wallonia, the large farms of Hainaut were cultivating barley and hops. They all brewed their own beer. Today, the cultivation of hops has disappeared and the brewing activity became an independent activity about 160 years ago. Brasserie, which is the french word for brewery, de Silly is a perfect example of this evolution. Silly is a very small farmer's village that got its name from the little stream, the Sille, flowing through the center of the village. You can find it along the highway between Brussels and Lille (France) on about 25 miles South-West of Brussels. To give you an idea of the kind of beer-culture that existed in a little village like Silly only one century ago, read this. For not even 2,000 inhabitants, we found 3 breweries and 29 pubs. Today, only one brewery and a couple of pubs have remained. Silly is a quiet village, living a simple life. Going there on a Sunday afternoon is remarkable, because almost nothing moves. Only the birds and the wind are making noise. The fun-activities, concentrated in the pubs, are arching and "jeux de balle," a strange ball-play where 2 teams are throwing and hand-tennissing a small hard ball. It is only played in a rural area of about 200 villages. Remarkable. This type of ball game goes back to the oldest ball games played by the Celts. Once a year, farmers from all over Europe compete in Silly with their land-tractors. It is like stock-car racing but with big, reinforced tractors. They pull each other, they try to move the heaviest load, and they race. Strange for city-slickers, but very exciting for the young farmers. On all these occasions, the beer flows in abundance. This brings us back to the Brewery de Silly. The earliest time the brewery was mentioned in writing is 1852, when Nicolas Meynsbrughen bought the farm. On this farm was also the local mill, where all kind of local grown grain was milled. Three generations of Meynsbrughen bring us to WW I. When the war started the brewer painted the copper tuns to hide them from the Germans, who could use this material in their war machine. But, after a while and some negotiations, the brewery was chosen by the Germans to remain the only brewery of the area during the war. This explains the disappearance of the other breweries in the village. In between the 2 world wars, the brewery became a dominant player in the region with 6 top-fermenting beers: a "saison," a "bock," a "scotch," an "export" and the "Grisette" and the "Belge," two full body ales. These beers are of course shipped to the larger Brussels area, but they were already exported to France, where in 1900 the brewery won 2 silver medals in an international competition. After WW II, the farming activities are stopped and all efforts are concentrated on the brewery. At the same time a new line of beers, now bottom-fermenting, lagers, is added to the beer selection. In 1964 the "Super 64," an amber top-fermenting ale is created, and in the seventies, the new generation of brewers create more beers, like the "Silbrau Dort," clearly a German style Dortmunder lager. In 1973 the brewery changed its name into "Brasserie de Silly," but keeps the logo of St. Michel, the angel who fights dragons. This Saint has his statue in the Church of Silly, and is also depicted on top of the Brussels City-hall. You do not find the picture of the Saint on the cap of the bottle, but the picture of a land worker. In 1975, the brewery of Enghien (say 'engine'), a town near Silly, is bought by the Brewery de Silly. The brewery of Enghien was famous for its Double Enghien Blonde (Golden) and Brune (Brown). After the take over, these two beers are brewed in Silly. Interesting to know is that the name of the former brewery was "Tennstedt-de Croes," and that the brewery was created in 1880. The brewers were from German origin and that is no surprise. The city of Enghien is in fact dominated by the castle and the park of German nobility, who reigned the area for more than 500 years. One of them almost became Pope, but he refused. These Germans ruled the whole city and the surrounding area, since they were the proprietor of most farms. They created abbeys and churches in the city, and left a lot of items of cultural and historic interest. Most of these German Princes are buried in Enghien, and you can visit their coffins in a lugubrious crypt, protected by monks. The German influences can be tasted in the LA Divine beers. They have a lighter feeling in the mouth, more like lagers, and they have a clearer hoppier taste.